Have you ever noticed that the more you tweak your desktop theme, the more it drives you crazy? Maybe it's just me--I'm pretty compulsive obsessive. For most of my career, I've tried to create an interesting, exciting, cool-looking desktop. I know that a lot of you are probably saying, "Duh!" right about now, but I figured out I was actually more productive when I made my desktop more boring. I've heard people say that if you paint a child's room bright yellow, it makes them more hyperactive. I've also heard people say that if you paint a prisoner's cell soft pink, he'll be more sedated. I'm not sure if those things are true, but they seem reasonable. I've always sought after the perfect wallpaper. However, the cooler the wallpaper is, the more it drives me crazy. 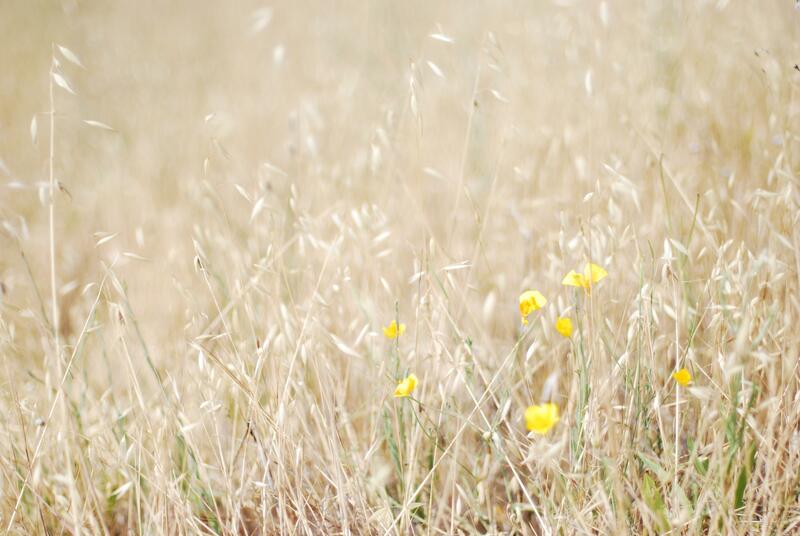 For some reason, I've always found the default wallpaper in OS X to be very calming (with the exception of OS 10.5). Recently, while using Ubuntu, I switched to having no wallpaper at all. It was initially an accident, but I realized I liked it. I just stuck with the weird tan color that is the default if you turn the wallpaper off. After a few hours, I realized it had a calming effect on me--which is important since I'm so compulsive obsessive. Recently, I noticed my designer buddy Albert had a plain gray background on his MacBook Pro. I asked him why he had chosen not to use a wallpaper. He said that it was important for his desktop to be neutral. That makes sense that you wouldn't want your desktop to conflict with the design you were creating. I asked him which color gray he was using. It turns out, he wasn't using a plain gray, but instead he had added just a hint of red to it. He said it made the gray more "warm". "Calm" and "warm" are two words that I had never even thought of when trying to describe the perfect desktop. I'm curious, has anyone else out there figured out a desktop that they find "calm" and "warm"? By the way, the background that I'm currently using is "#636161" which is a bit darker than what Albert originally picked, "#978989". I've moved that way myself. The gray Humanity Panel Icons set, along with the Dust theme and a gray background, is pretty decent combination of unobtrusive, functional and cool looking. Look up "calm computing". Thinking about what programs are visible on your desktop from that perspective can be enlightening. Steve K., can you send me a screenshot (jjinux at gmail)? Thanks! I have always preferred a blank wallpaper, although I would from time to time set some picture (usually lots of greenery or mountains and stuff), but the best is always no wallpaper and a dark, dull, shade blank. I always choose the blandest possible theme too. I try others too, some that I think are cool, but not for long. Some of my most hated themes are garish, and colorful ones (and by my standard, quite tasteless)---the default Windows XP (I remember someone once called them "Fischer-Price themes"), Office XP/Java's Ocean look-and-feel (they look very much alike), Java original Metal look-and-feel, Ubuntu's own hideous bright orange themed icons. I found the Ubuntu Hardy Heron default wallpaper the most calming background I've ever had on a pc and since then, I've never changed it whatsoever. Also, the Ubuntu brown color in general also has some kind of tranquillizing effect on me. I just can't seem to change it for any other. I've been using this picture for the past 6 months or so. Taken with a nice prime lens on a hike. > I've moved that way myself. The gray Humanity Panel Icons set, along with the Dust theme and a gray background, is pretty decent combination of unobtrusive, functional and cool looking. Thanks for the screenshot, Steve. It's really dark. Do you find that you're blinded whenever you switch to your browser and something like Google is open? > I found the Ubuntu Hardy Heron default wallpaper the most calming background I've ever had on a pc and since then, I've never changed it whatsoever. You're right. I've never used it before, but now that I look at it, it's interesting while not overpowering. > Also, the Ubuntu brown color in general also has some kind of tranquillizing effect on me. I just can't seem to change it for any other. > I've been using this picture for the past 6 months or so. Taken with a nice prime lens on a hike. "It's really dark. Do you find that you're blinded whenever you switch to your browser and something like Google is open?" 90% of the time I have a terminal taking up the left half of my screen, and a browser taking up the right half*, so the only time I ever really see my desktop is when I switch to another workspace. * speaking of which, and apropos to your earlier post, I tried xmonad because I was sick of constantly having to manually fit two windows side by side (foo on metacity developers for their stubborn refusal to remember window geometry). But I'm getting old, and I no longer find the amount of reading and fiddling required to configure something like that anything but painful. Turns out it's super easy with compiz -- in the Grid plugin, you can set keybindings for "put left" "put right" "put right top" and "put right bottom". So now it's just a win-alt-right, and a win-alt-left, and it's all set. 10 years into this, and I've FINALLY got the perfect setup for me. I'm sort of dreading Gnome Shell. The grid plugin sounds useful. It's funny, xmonad actually does fit how you use your desktop, but it does take some futzing. In a related topic - the value of 'calmness' is actually a "value sensitive design" consideration espoused in contemporary academia these days. It all has to do with designing look and feel to mitigate the information overload we take in. Halfway down the page, or Find "Care2.calm"
My desktop is way too busy and I'll be reducing it to CALM shortly!!! Thanks a lot for the link, Chris. Nice to hear from you. It's going to take me a while to digest all that, but I'm glad to hear that people are taking this issue seriously!